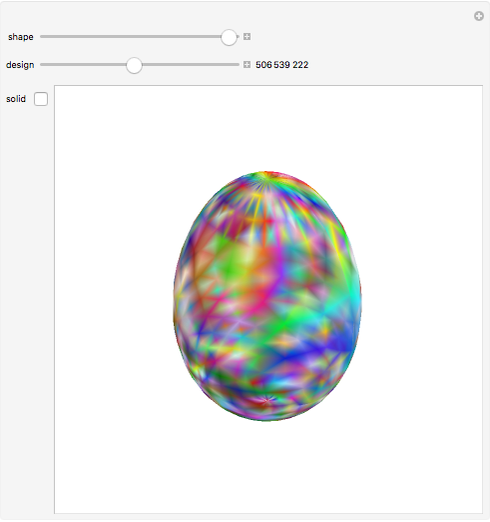 Change the egg shape or select one of 1073741824 designs while being able to see through the egg or not. 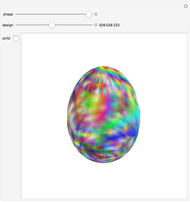 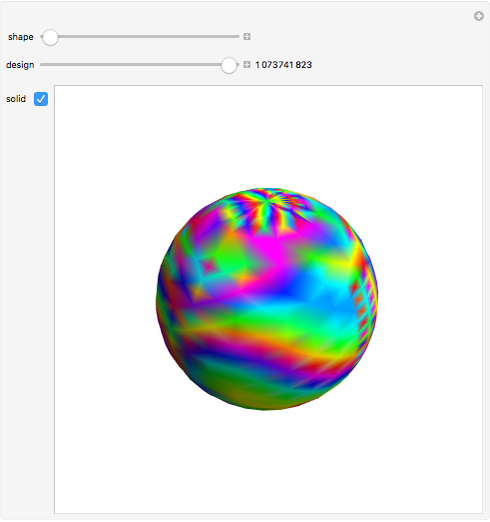 The enumerated designs assign positive and negative weights to coordinates, parameters, and radii that modify colors and opacity. 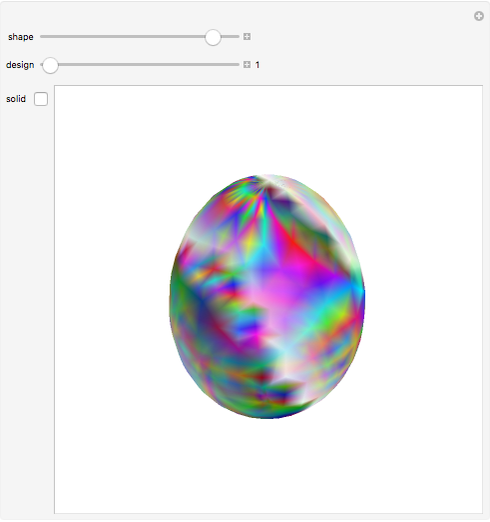 Michael Schreiber "Eggs using Spherical Coordinates"